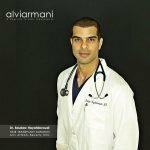 If you live in London, United Kingdom, plan to be in London or can get to London within a few hours and you have been considering London FUE hair transplant consultations, now is your chance to have London FUE hair transplant consultations with one of the world's leading FUE hair transplant specialists. 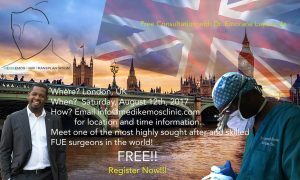 Dr. Emorane Lupanzula, a Hair Transplant Mentor™ partner doctor, has reserved Saturday August 12th, 2017 for one on one London FUE hair transplant consultations. This is a no fee opportunity to meet Dr. Lupanzula and to discuss your current hair loss concerns and what is possible for you with Dr. Lupanzula's approach to FUE hair restoration. Dr. Lupanzula strongly believes in the "doctor only" protocol of FUE surgery in that no technicians are involved in the scoring and extraction of FUE grafts. Dr. Lupanzula does all of the FUE procedure himself because he feels this is his responsibility as a doctor and doesn't want to leave the surgical aspects of the procedure to non-licensed technicians. This means that Dr. Lupanzula limits the number of patients he can perform the FUE procedure on to one, sometimes two each day, so you will not find an assembly line operation with Dr. Lupanzula or his clinic, Medikemos Hair Restoration. This is only one of the reasons why I personally recommend that you have one of your London FUE hair transplant consultations with Dr. Lupanzula. 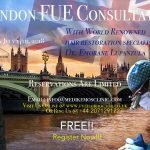 If you're considering having London FUE hair transplant consultations and you want to learn more about Dr. Lupanzula, don't miss out on the hair transplant documentary series (currently comprising of eight videos) I began with my initial visit to his clinic in August, 2015. 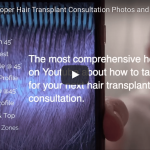 In this series I show you why I feel Dr. Lupanzula is a world class hair restoration surgeon that is worth considering for your hair restoration needs. The highest recommendation I can give about any doctor is that I would have surgery with them myself, and that is the case with Dr. Lupanzula. 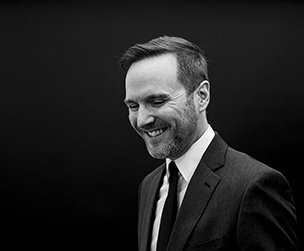 I can't recommend him enough. Contact Medikemos Hair Restoration at [email protected] to reserve your spot for this exclusive engagement.